0. Install the LATEST CSE. 3. Run GPupdate /force and then reboot. 5. 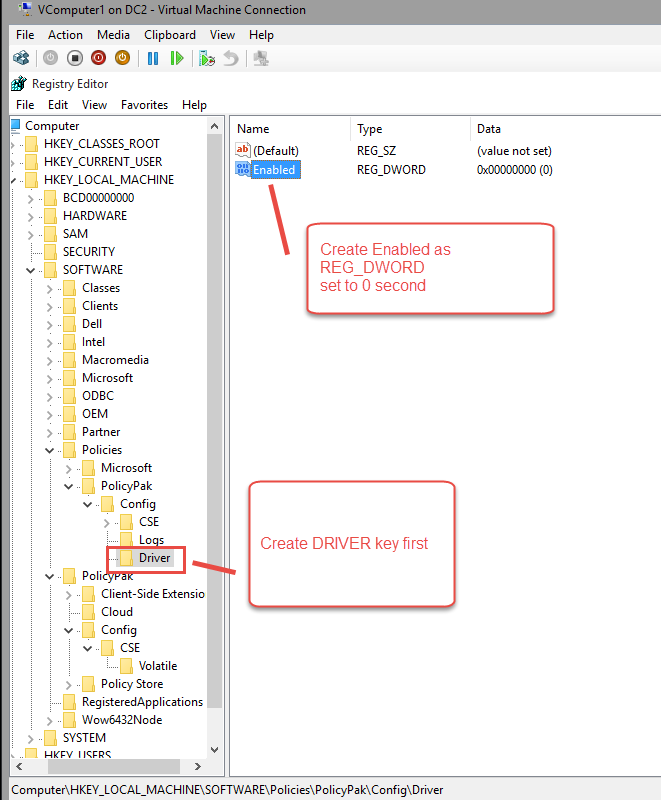 Delete the registry key you created in TRY 2. 6. Uninstall most recent PolicyPak CSE (from Portal). 10. Uninstall the previous PolicyPak CSE from previous step. 11. Ask your SUPPORT rep if you should turn on DEBUG LOGGING Install the DEBUG BUILD … CSE (get from your support rep). 12. Make the problem occur, then→ AS ADMIN, run pplogs and send us file renamed as PPLOGS-DEBUG-BUILD-AS-ADMIN.ZIP. You should be performing these steps ONLY as a test directed by PolicyPak technical staff. Do NOT run with the Driver disabled in Production. PolicyPak Browser Router (FF extension installation in some cases). … And possibly other items.